Vogel Home Improvement is the local company you can count on to specialize in all the details, large and small, of your home remodeling project. I have years of experience in woodworking and providing custom carpentry in Anchorage as part of home improvement projects. I can help you design customized built-ins for every living space in your home. I can also assist you in creating and installing beautiful trim work throughout your property. 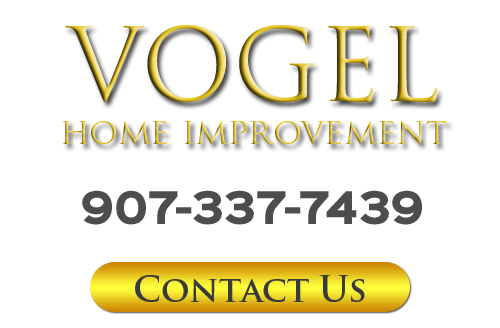 The one constant in everything that I do here at Vogel Home Improvement is my goal to achieve complete and total customer satisfaction. When you hire Vogel Home Improvement for your carpentry or trim work project, you can rest assured knowing that you made the best choice for the job. For the last 20 years, I have been a local Anchorage remodeling contractor and have routinely exceeded customer expectations. I treat all of the services I offer as if they were being performed on my own home. With this mindset, I can help you achieve all of your aesthetic and functional goals. Call Vogel Home Improvement if you need to hire a professionally licensed remodeling contractor who specializes in carpentry and trim work related services. I would be happy to take your call and answer any questions that you may have. I can also schedule your appointment today. Whenever you are conducting a home remodeling project, it is important to focus on both aesthetic and functional goals. By achieving both of these objectives, you ensure that your efforts are a resounding success. The wonderful thing about built-in carpentry fixtures is that they are a stunning and useful addition to any living space. As your carpenter, I can design built-in shelves, cabinets, and storage areas for you. If you have a unique design in mind, I can make your vision become a reality. If you need help designing your carpentry fixtures, I would be honored to guide you through the entire process. In the end, your new built-ins will look their absolute best and will enhance how you and your family use your living spaces. Call Vogel Home Improvement today to learn more about my services related to custom carpentry in Anchorage. 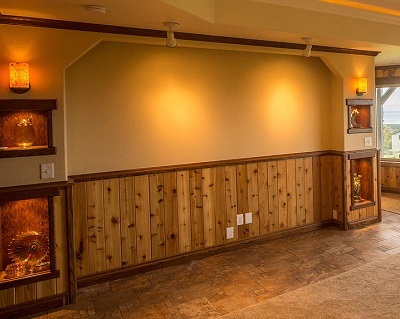 If you need a professional remodeling contractor's help with trim work and carpentry in Anchorage, AK or nearby, please call 907-337-7439 or complete my online request form.